DOG owners in South Belfast will have to keep their pets on a tight leash as the Council clamps down on dog fouling. 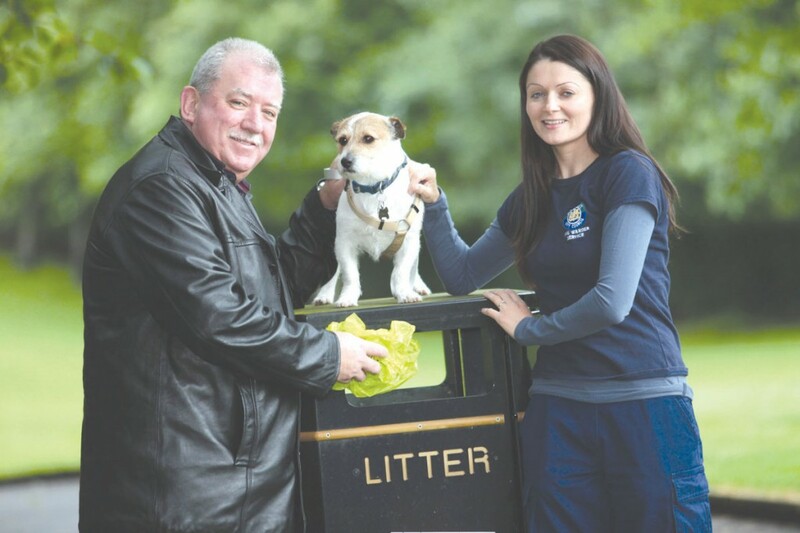 The South Belfast News recently reported an upsurge in fines imposed on owners for dog fouling – but now the Council have announced they are about to get even tougher. Research carried out by MORI found that members of the public believe fining irresponsible dog owners is the only way of cleaning up the streets. Belfast City Council have since launched the next phase of its campaign to remind dog owners “his business is your business” and is asking members of the public to help target repeat offenders. Cllr McCarthy said more information is needed and added that quite often it is the same few people creating the bulk of the problem. Three out of 10 adults in Belfast own a dog. Feedback from research showed that one third of people surveyed considered the current £50 fine to be too low and so the fine for allowing your dog to foul in public will increase to £80 in October this year under new legislation. The public are being asked to call 02890270431 or email dogwardens@belfastcity.gov.uk to report dog fouling in their area. They are asked to, if possible, provide information on the breed of dog, the time of day it happened and the precise location, as well as any other details they think may help identify the culprit. Who calls the shots in Europe?